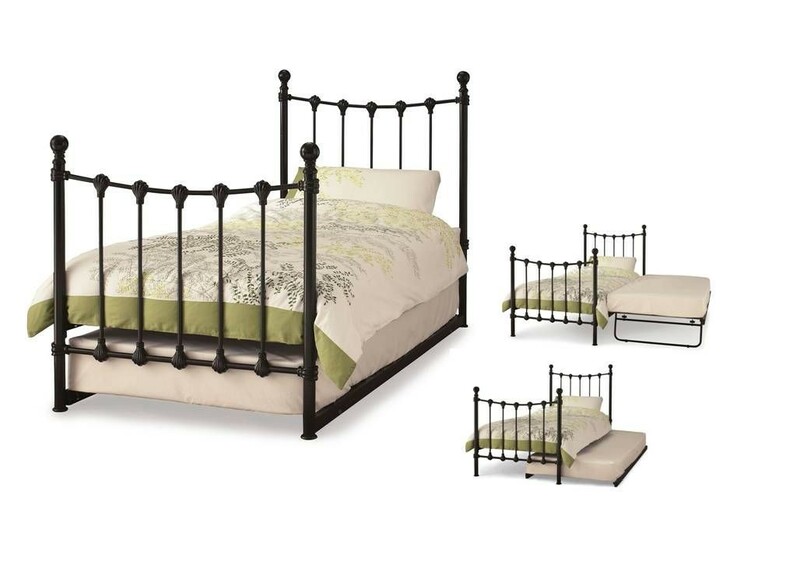 Popular black single bed frame now available in visitor format. Under bed raises to height of main bed. FREE Delivery. Mattresses sold separately.